Aleix Gordo – New to Bloompapers! Bloompapers.com has had a major face lift over the last few months, with a new web and new blog, which we think are far more user friendly and simplified. Well, for August, we have one of the most exciting new additions yet! We are really excited to introduce Barcelona street artist Aleix Gordo to our Bloom Artist team with his colourful, fun and super original designs. 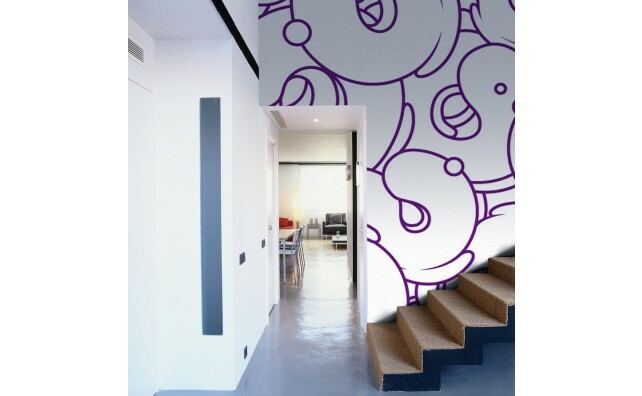 His designs will undoubtedly bring something bold and new to your home, as well as having the chance to have one of Spain’s most celebrated urban artist on your walls! We invite you to take a look and let us know what you think of our brand new artist!